People of Capricorn sign are cautious, their sight is directed towards the future, and their feet stand firm on the ground. Capricorn sign people of both sexes possess unusual art talents. Capricorn sign makes impression of a gentle, shy and a little stubborn person. One of the most typical features of Capricorn sign is good education and manners. Respect for people of age and experience is a part of their nature. Colors of Capricorn Sign are dark green, black, ash-grey, and all dark tones. Stones of Capricorn Sign are ruby, onyx, and lazurite. Metal of Capricorn Sign is lead. Talismans of Capricorn Sign are black cat and devil. They adore success, respect, and power and esteem traditions. They allow others to move forward, but frequently they are the first to come to the final goal. Capricorn sign climbs up the social ladder. 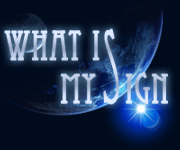 Capricorn sign should climb upwards because financial security is necessary for this sign. People may think that this is a cold, prudent attitude, but Capricorn sign considers that it is simply reasonable. Capricorn sign thinks that jealousy, passion, impulsiveness, laziness and carelessness are obstacles for achieving their aims. Capricorn sign does not allow emotions to blind him. Capricorn woman will hardly fall in love with man who does not possess important post in the society. They seldom marry thoughtlessly. People of Capricorn sign may fall ill because of fears, uncertainty and anxiety. All Capricorns have sensitive skin and it results in allergies. They also may suffer from the diseases of stomach and joints. Their melancholy may lead to headaches, affections of kidneys and mental diseases. Capricorn woman loves beauty. Capricorn woman may flirt and fascinate men. The purpose of Capricorn woman is to charm an important man whom she could be proud of. Capricorn woman looks for reliability. Capricorn man is shy, pleasant, but ambitious. Capricorn man is a strong man with gentle heart. Capricorn man likes to bend crowd to his will, but he remains amazingly romantic in his dreams. The discipline demands from Capricorn man quiet behavior, practical actions and serious intentions.